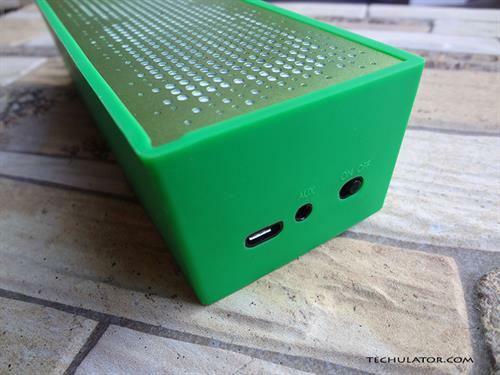 There's no dearth of bluetooth speakers out there in the market if you are interested to buy one. Plenty of major brands have their line-up of audio products ready and come with a lot of offers and mumbo-jumbo. Some speakers may give you great sound quality but low battery life, some may look extremely good but may be the worst sounding or some others that may be somewhere in between. Choosing the one that suits your needs isn't just about your budget. Here's a look at the Bluetooth speakers from Antec, a company that's known to make quality computer components. 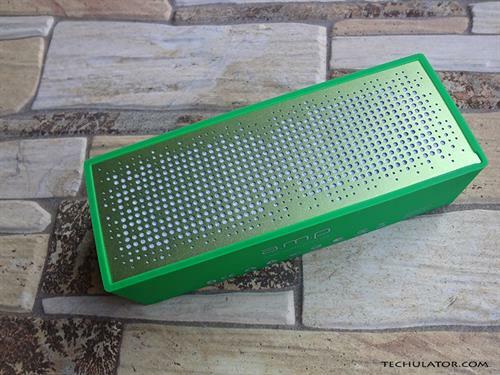 The Antec SP1 with its rectangular design looks extremely traditional yet slick at the same time. The device comes with a rubberized chassis that not only is supposed to protect it from bumps and bruises, but also helps give out with better sound reception by reducing sound vibrations when kept on a hard surface. The device sits tight on any flat surface with the help of its rubber chassis. On the top of the device, are 3 buttons: Volume Down - Play/Pause - and the Volume Down. Also next to these three buttons is a tiny in-built microphone. On the right hand side, you would find the On/Off switch which has an in-built LED light, a 3.5mm AUX port and a microUSB port to charge this device's internal battery. The speaker grills designed like a sound wave on the front and rear side of this device give it the premium look and enhances the build quality. The looks, build quality and deals running on a particular product often force us ignore the sound quality, which is the most important aspect for any speaker. 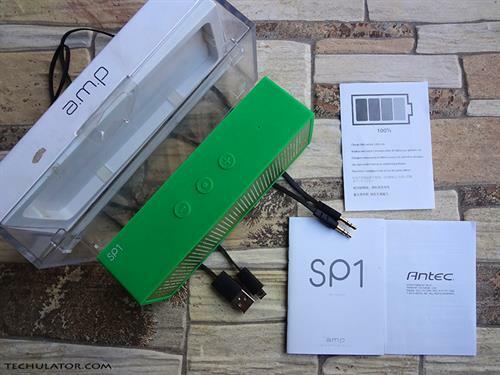 The SP1 with its 6 watts of output sounds crisp and clear. They're not as loud as I was expecting them to be but that could be because of the quality of the sound file (mp3/wav/stream) being used. Even though Bluetooth technology compresses the sound file and reduces its quality a bit, these speakers sound great for everyday use. I am not an audiophile by any means but I love music. I love it even more when my favourite songs sound even better. I usually prefer a bit of bass that adds warmth to a song keeping clarity and crispness intact. The SP1 sounds exactly like that! Bluetooth speakers usually have a range of 5-10 metres and the SP1 claims 10 metres (33 feet) on the packaging. While testing its range at home, I successfully was able to hear music being played on these speakers at a distance of around 25 feet. Beyond 25 feet, the audio started getting distorted and at around 35 feet it couldn't get any reception. Please note, this range was inspite of three solid cement walls in between the clear line of sight that Bluetooth devices usually require. While connected to your smartphone via Bluetooth, this device also lets you receive calls making use of the built-in microphone. There's no need to even touch your phone to accept the call, the center button on the SP1 lets you Accept and Disconnect the call. The microphone quality on the other hand needs some improvement. While testing this feature out, a few of my callers were not able to hear me loud/clear enough and I did have to repeat a sentence or two. Currently, the Antec SP1 speakers are available for a price of Rs. 4999 in India. However, you can get it for as low as US $49.99 in the USA. This device is powered by an in-built lithium-ion rechargeable battery that takes in the usual 5V DC (0.5A) through a USB to microUSB cable. On papers, this device is certified to give 10 hours of playback time, however, in real life playing conditions it gave us a maximum playback time of around 3 hours. This is at par with other Bluetooth speakers in this price range. My overall experience with this device has been very good and my Rs 4999 seem well spent. Barring a few negatives as described above, I think this Bluetooth speaker seems a tad better than the JBL Flip (currently Rs.6000-6800) that I had previously been using. I hope you liked this article, please feel free to ask a question in the comments section below and I will try my best to answer it as soon as possible. Please Subscribe to our YouTube channel for more such updates. That should be rated as the most comprehensive review of the speakers. Your personal experience with the device has added a touch of genuineness. Though the speakers seem to have one too many drawbacks, I guess it can be considered as a value for money device given its price tag.